Today we see extremely growing popularity of Scandinavian culture. From famous Scandinavian minimalism in furniture to the blockbuster movies about Norse gods, people’s fascination on the matter has substantially grown in the recent decades. However, can we combine our love towards Scandinavian culture and natural jewelry? The answer is: definitely yes! We combined the magical properties of shungite and the spiritual strength of ancient Scandinavian symbols to create a truly fascinating experience. 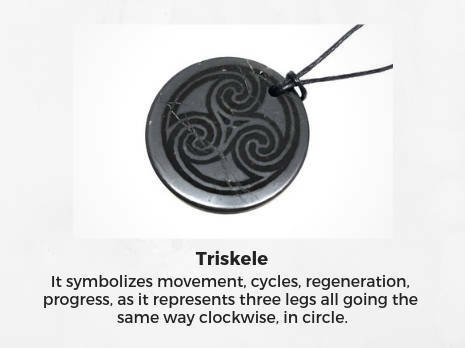 Why are Scandinavian symbols so unique? Scandinavian symbols have rich history and had many influences throughout this history. Some of them come from their Celtic heritage; some were taken from Greek and Latin cultures, while others were developed under the influence of Christianity. Nonetheless, lots of these symbols have much in common. 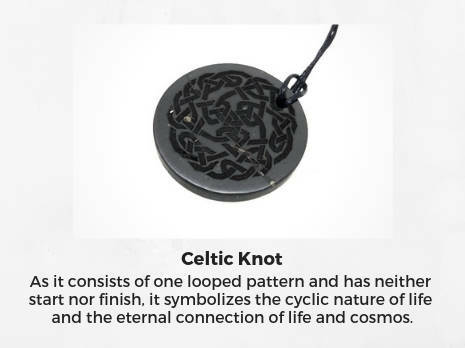 First of all, Celtic people always had deep connection to the nature of the North, so a lot of these symbols have their roots in the natural world, both flora and fauna. Secondly, people of the North had great fascination in the nature of trinity, as it represented a lot of aspects of the life: mind, body and soul; past, present and future; thought, feeling and emotion; life, death and rebirth, air, water and fire; infancy, adulthood and old age. This way, a lot of Scandinavian symbols have the number 3 in them, either in plain sight, or hidden. Finally, most of these symbols are looped and drawn with one line, which represented both the eternity of being and the cyclic nature of life. We can find a great deal of examples of these features in Scandinavian symbols. Where does shungite come into play? Shungite has deep connections with the North and its culture. It can only be found in the Republic of Karelia in the North-West of Russia, very close to Scandinavian Peninsula. People of the North for centuries have known and enjoyed its mysterious healing properties, even unknowingly. Its minimalist dark black color and magical look always went hand-to-hand with Northern culture. This way, the combination of shungite and Scandinavian symbols is a synergic phenomenon. These two unique features of the North empower each other, which makes their combination extremely effective for crystal healing and energy balancing. Shungite pendants engraved with Scandinavian symbols spread this energy of thousands of years of experience through one of the most important areas of our body. 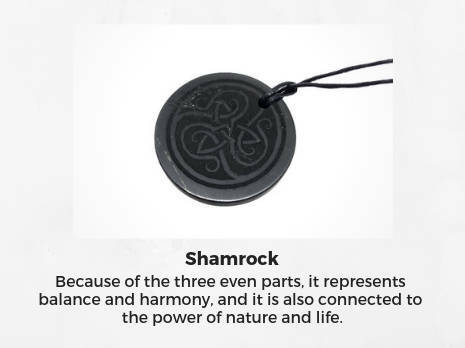 If you feel constant fatigue, feel the effects of negative energy around you on your body, or the effects of electro-magnetic fields (of EMF) and want to shield yourself from these toxic influences, then shungite pendants with Scandinavian symbols can become solution to this problem. Pendants provide everyday protection of your body as well as provide you with strength and determination from the powerful symbols. Let alone the fact that they are very stylish pieces of jewelry with deep black color. 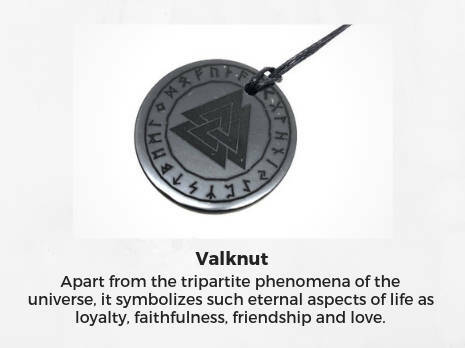 Purchase Shungite pendants with Scandinavian symbols and bring a piece of warm Northern beauty and ancient Northern wisdom into your life!